Recent years of scholarship have surfaced some terrific books on the doctrine of the Trinity. Father, Son, & Holy Spirit: Relationships, Roles & Relevance by Bruce A. Ware is among the best. Dr. Bruce Ware defines and defends the doctrine of the Trinity with biblical precision, Christ-exalting passion, and theological muscle. Chapter one unfolds the importance of the doctrine. Ware draws the reader in by illustrating ten reasons to focus on the “wonder of the Trinity.” Readers are given a treasure-trove of ammunition that not only demonstrates the rationale of this doctrine; it shows the practical ramifications for marriage, career, and relationships in the local church. Chapter two surveys the long history of the doctrine. The author shows why the early Christians accepted the Trinitarian formulation. His explanation is rooted in both Scripture and the writings of the church fathers. Chapters 3-5 takes an in-depth look at the respective roles of the Father, Son, and Holy Spirit. Dr. Ware makes it clear throughout his treatment that “every essential attribute of God’s nature is possessed by the Father, Son, and Spirit equally and fully.” Each chapter concludes with practical and powerful points of application. There is no abstraction here. Dr. Ware is concerned with linking truth with the affections and God-centered response. Chapter six develops a theme that was originally explored by Christian thinkers like Augustine and Jonathan Edwards, namely – the Trinity as society or as Dr. Ware puts it, “in relational community.” Ten key principles are presented that need to be fully digested and applied in the real world. Dr. Ware has done in invaluable service for the church in this book. He has unpacked the doctrine of the Trinity in a way that is clear and biblical. He has skillfully applied this essential doctrine in a way that can strengthen a Reformed spirituality among believers. And he has rightfully challenged the egalitarian movement with the biblical antidote that should define a new generation of Evangelicals. What do you get when you combine passionate spirituality, gospel-saturated writing, and the best of Reformed theology? Answer: A book that every Christ-follower should read, absorb, pray over, digest, and re-read. Experiencing the Trinity by Joe Thorn is a combination of honest reflection and soul-searching which is informed exclusively by the Word of God. Imagine the contemplative musings of A.W. Tozer, the insight of C.S. Lewis, and the theological precision of J.I. Packer mixed together in one short book. The end result is Experiencing the Trinity. The book is arranged in three sections – Father, Son, and Spirit, respectively. The author writes in the first person and aims gospel promises to the head and heart with clarity, honesty, and gospel-centered resolve. This is a book the dead guys would be proud of. It would certainly attract the attention of godly men like John Owen, Richard Sibbes, Jonathan Edwards, and John Bunyan. One of the advantages of Thorn’s work is that he casts aside the “wordiness” that the Puritans were famous for. Instead, he encapsulates a doctrinal reality in a few short pages but never at the expense of biblical truth. 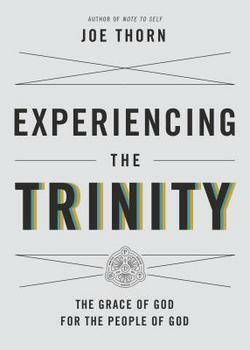 Experiencing the Trinity is a short book. But this little gem is packed with gospel promises, gospel power, and fuel for Christ-followers who are struggling with fear, doubt, anxiety, or temptation. My hope is that Experiencing the Trinity receives a wide reading; that thousands of Christians will be strengthened, edified, challenged, and equipped to continue the race – all the way to the Celestial City. And may many who have yet to embrace the promises of the gospel find refuge in the Triune God who alone grants forgiveness and peace to everyone who turns from their sin and casts all their hope and future in the Lord Jesus Christ! Delighting in the Trinity by Tim Chester is a welcome addition to the growing number of titles from the folks at the Good Book Company. This impressive British organization is committed to the advancement of the gospel of Jesus Christ. Their commitment is reflected in a consistent stream of solid material designed to strengthen disciples of Jesus Christ. Chester’s book should be considered a primer on the doctrine of the Trinity. In part one, he pours the necessary theological “concrete” which gives shape to the foundation which undergird the Trinitarian formulation. Part two is a walk through church history, beginning in the second century. Part three explores practical considerations as they relate to the doctrine of the Trinity. The author explores the relationship of the Trinity to revelation, salvation, humanity, and mission. Delighting in the Trinity is a helpful book, especially for believers who need a basic entry point to understanding this essential doctrine. The Forgotten Trinity: Recovering the Heart of the Christian Faith by James White is a book that deserves to be read. Sometimes a given book slips under the radar screen and fails to receive the credit it deserves. Dr. White’s book falls in this category. Christian readers are missing out if they have neglected this excellent work. White reminds the reader that “an unwillingness to worship God as God is and has revealed himself lies behind every denial of the Trinity that appears down through history.” Indeed, this doctrine as Shedd says, “is the foundation of theology.” White does a masterful job at explaining this all-important doctrine. Good definitions of the Trinity are hard to find these days. But the author provides a working definitions that is biblical and accurately describes the doctrine under consideration: “Within the one Being that is God, there exists eternally three coequal and co-eternal persons, namely, the Father, the Son, and the Holy Spirit.” White argues, “Every error and heresy on this doctrine will find its origin in a denial of one or more of these truths.” The rest of the book is committed to unpacking the critical elements of the Trinity. Heretical movements are explained. The deity of each member of the Trinity is expounded. Church history is explored. 1. Is the doctrine of the Trinity biblical? 2. Does the doctrine of the Trinity make sense? 3. Does the Doctrine of the Trinity make any difference? Erickson succeeds in answering each question in the affirmative. He unpacks the biblical doctrine and links his answers to the Bible as well as church history. He alerts readers to some of the Trinitarian errors that have emerged throughout church history. And he shows how the Trinity affects the daily life of Christians. Making Sense of the Trinity is a good introductory resource on a crucial doctrine. The author does not answer every objection. He does not present a series of comprehensive arguments. These matters can be covered in other works. 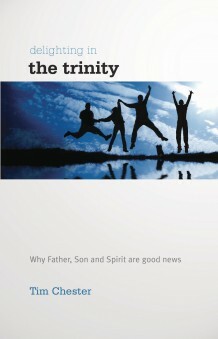 For a more detailed study that concerns the Trinity, see The Holy Trinity by Robert Letham. Philip Graham Ryken and Michael LeFebvre add to the growing list of books on the doctrine of the Trinity with their release, Our Triune God. Their work focusses on the essence of the Trinity – how the Trinity saves, the mysterious nature of the Trinity, how the Trinity relates to the Christian life, and the joy he brings the people of God. Our Triune God steers clear of the debates that take place in church history. The authors leave that discussion for another time. The strength of this work is that Ryken and LeFebvre cut to the heart of the Trinity. This book may be the perfect starting place for Christians who desire to learn more about the Trinity. Practical, solid, and readable. Highly recommended! What is the Trinity by David F. Wells is an outstanding addition to the Basics of the Faith series by Presbyterian and Reformed Publishing. Wells introduces readers to this vital subject matter in a mere 37 pages. Readers should be aware that the author does not intend to fully unpack the doctrine of the Trinity. Rather, he merely gives readers of taste of this critical area of theology. He begins with the unity of God and proceeds to explain the three persons of the godhead. The author alerts readers to some of the battles that have surrounded the doctrine of the Trinity in church history. He also makes practical applications that flow out of the doctrine. Highly recommended for beginning theology students. R.C. Sproul has an uncanny ability to make complex truths come alive. He continues to share his gift with the church in book number 10 in the Crucial Questions Series. What is the Trinity? Sproul covers “acres” of theological ground in 63 pages. His explanation for the Trinity is rooted in a discussion of monotheism: “The idea that there is one God was firmly established in the religion of Israel from the earliest pages of the Old Testament.” While the doctrine of the Trinity it not explicitly taught in the Old Testament, the strong teaching of monotheism is a crucial starting point. Sproul continues by demonstrating how Scripture reveals the Trinity in the New Testament. The Father is distinguished from the Son and the Son is distinguished from the Holy Spirit. Yet we learned that he member of the Trinity is God. And when the Bible affirms the deity of the Father, Son, and Spirit, the Trinitarian formulation becomes clear. The author provides a helpful section that concerns the Christological controversies of the 4th, 5th, 19th, and 20th centuries. The heresies and the key proponents are articulated and roundly refuted. The author, in what may be the most helpful chapter of the book vividly distinguishes between “essence” and “person.” God is one in essence yet reveals himself in three persons, Father, Son, and Spirit: “The distinctions within the Godhead are, if you will, sub-distinctions within the essence of God. He is one essence, three subsistencies.” Sproul demonstrates how the doctrine of the Trinity is not only biblical but never violates the laws of logic. This is where Dr. Sproul is at his best: explaining theological truth and bolstering biblical reality with good philosophical foundations. This work is short but packs a powerful punch. What is the Trinity? is an introductory resource that Christians need to read. Edwards proceeds to unpack three key truths that pertain to the Son of God: (1) Christ is called the wisdom of God. (2) Christ is called the logos of God. (3) Christ is called the Amen, which is a Hebrew word that signifies truth. Edwards argues that the essence of the Trinity is love (1 John 4:8). “Now the sum of God’s temper or disposition is love, for he is infinite love … This is the divine disposition or nature that we are made partakers of; for our partaking or communion with God consists in the communion or partaking of the Holy Ghost.” The Spirit quickens, enlivens, and beautifies all things, and in the final analysis seeks to sanctify, comfort, and delight the people of God. Standing with the historic position of the Western church and holds that the Son is begotten by the Father, and the Holy Ghost proceeds from the Father and Son. The members of this society or family are co-equal and co-eternal. In typical Edwardsean fashion, our author reminds us of the beauty, majesty, and authority of the Triune God – “For from him and through him and to him are all things. To him be the glory forever. Amen” (Rom. 11:36).